I think the religious minorities have been so beaten and persecuted that they thought that they were abandoned. Abandoned by their own government. Abandoned by the international community. The message that I’m bringing is that America cares. America is with them. America is on the ground. They can count on the United States to be a country that leads the world in helping them return home. 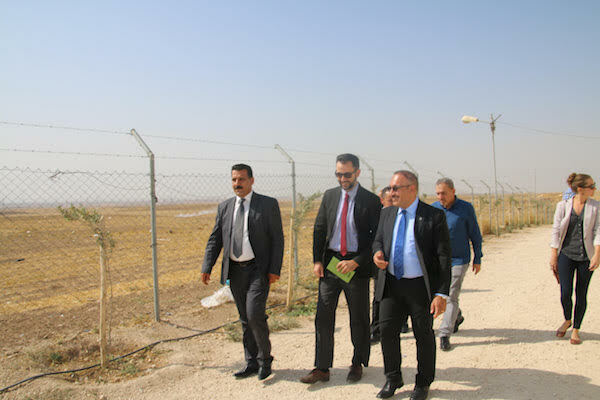 USAID staff visiting the Assyrian Aid Camp in Dohuk, Iraq. Photos via Hudson.